The majority of low-growing shrub roses are Portland varieties and as such are repeating or continual flowering. Pruning is a very simple affair as will only need to prune them back to a third of their original size over the winter and dead-head over the summer as necessary. Hybrid Musk roses, Bourbons and Hybrid perpetuals can only really to be left to their own devices in very large gardens, however for everyone else they too should be pruned back over the winter removing any old wood and dead, diseased or dying. 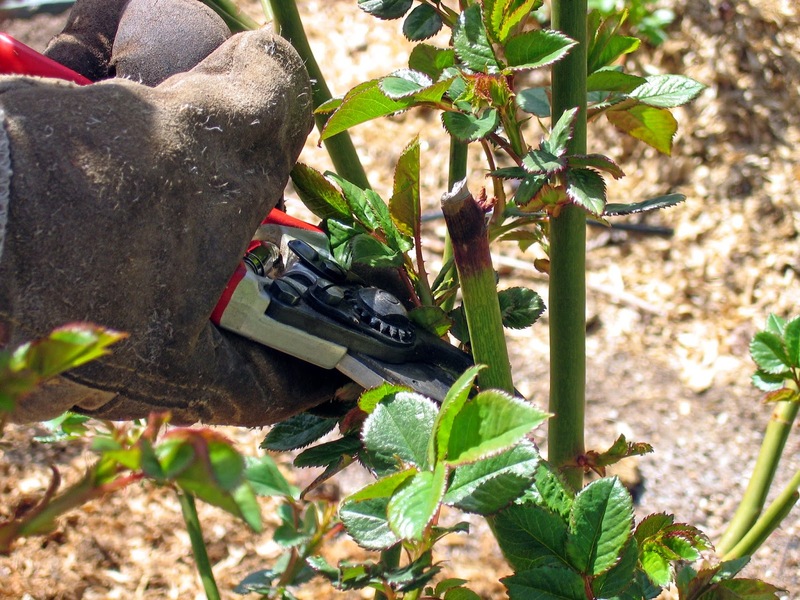 All dead, diseased or dying wood should be burned to reduce the risk of infect on other roses. If done each year and avoiding cutting into very old wood the plants should be replenished with strong, young shoots which will prevent your plants from becoming leggy and unkempt. Moderate pruning in February can also be undertaken to remove all superfluous shoots, those which are too thin to support flowering or any wood from the centre which is overcrowding the bush. You can also consider reducing some of the man shoots by a third as this will encourage some early flowering. This will also provide the foundation for strong growth and replacement wood for future seasons. Rosa rugosa species and cultivars should only ever be lightly pruned whether they are being grown as a hedge or as individual specimens. For the first year though they will need to be pruned back hard to promote strong and bushy growth. Should they get out of hand in later years they will be able to tolerate an occasional 'harsh' pruning and will easily recover. China roses and the older Hybrid Teas cultivars should be pruned in the same way that you would modern roses by removing twiggy, thin or dead wood, and cutting back the stronger shoots to about one-third of their length each year. This is to help encourage basel growth. Tea roses prefer to be pruned more sparingly. They will still need to be pruned to keep them in shape and to prevent them from developing too much old, unproductive wood, but avoid unnecessary pruning.